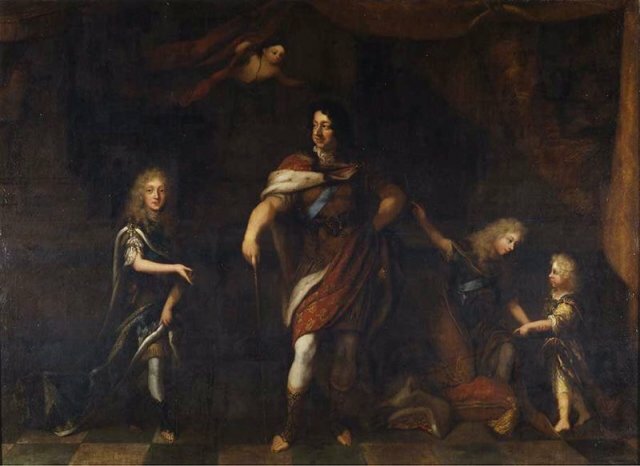 Many important Baroque composers found their way to Denmark from the beginning of the eighteen century – thanks not least to the music-loving King Frederik IV (1671-1730), who with his journeys to among other countries Italy and France raised the musical ambitions of the Danish court. 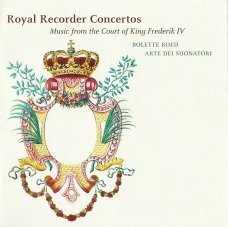 In his palaces, mainly Frede-riks-berg Palace, the King kept a small orchestra headed in some periods by the Italian composer and violinist -Bartolomeo Bernardi (1670-1732). 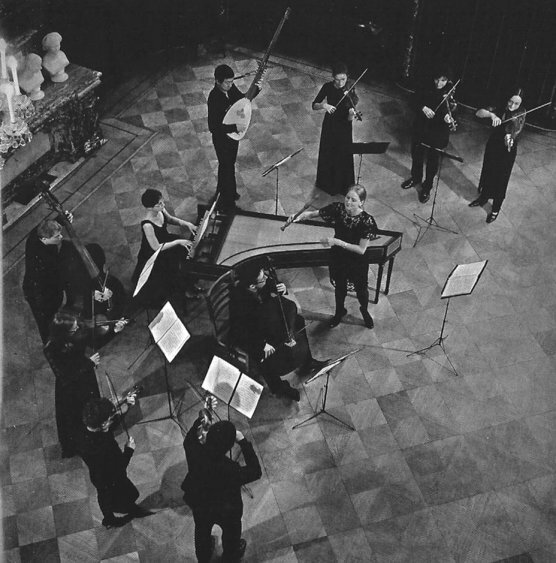 This ensemble, known as ‘the Court Violins’, the precursor of the Royal Orchestra, was just one of several elements that profiled musical life in and around Copenhagen in the time of Frederik IV. It was a cosmopolitan age and both in the Royal orchestral concerts and at the spectacular masked balls and court banquets music from abroad was played. 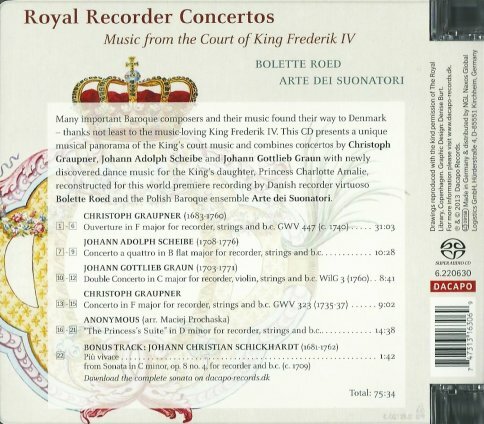 Music by composers like Lully, Torelli, A. Scarlatti and Corelli was performed in a Danish context, and later music by Graupner, Telemann and Scheibe. 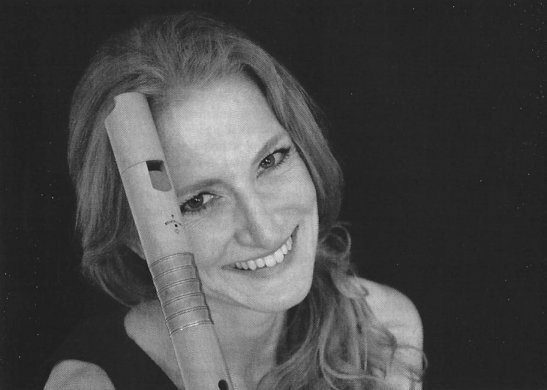 The music of the capital was also regu-larly enriched by touring German, French and Italian musicians and singers who stayed for short or extended periods in Denmark. The dominant fashion and court culture in the Denmark of Absolutism was French-oriented, but the language at the court was primarily German and the kingdom could boast a rich palette of cultural currents. In terms of music history we cannot speak of a ‘Danish Baroque style’, but more of the ‘mixed’ styles that comprised the French suite and dance music as well as the Italian style, typified by concertos and sonatas.